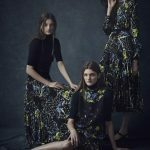 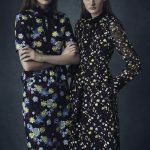 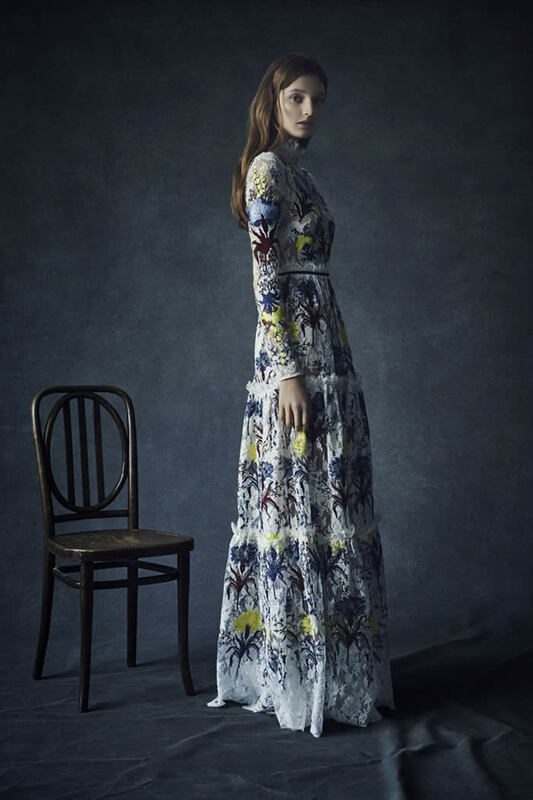 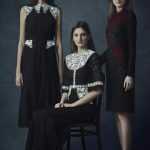 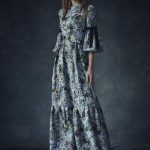 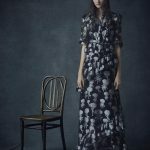 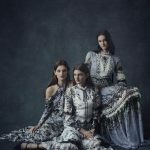 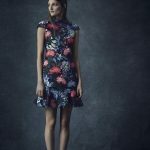 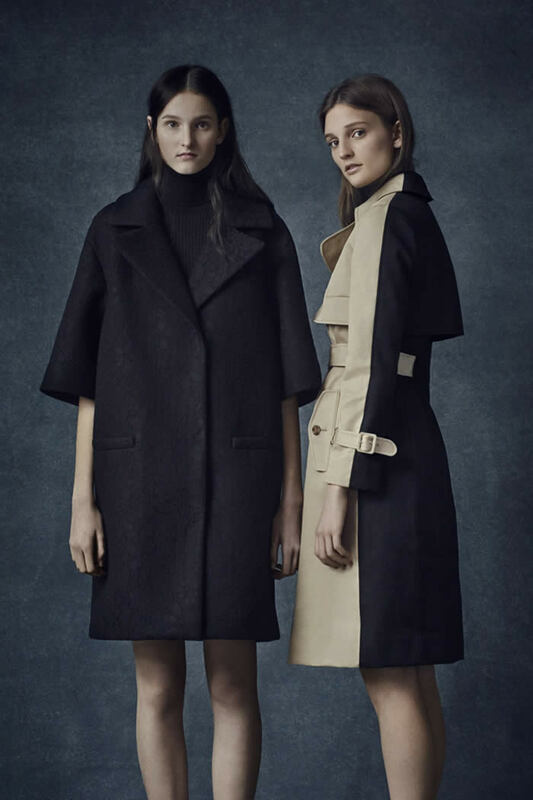 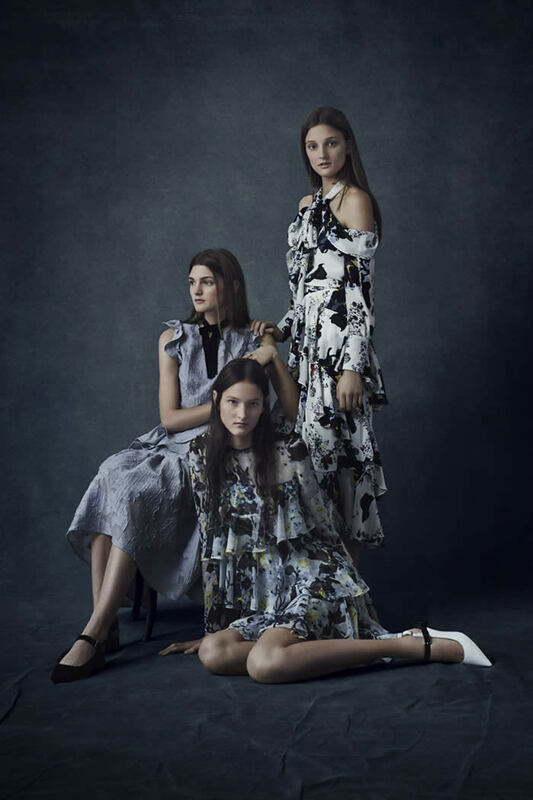 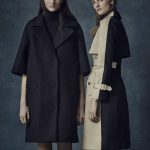 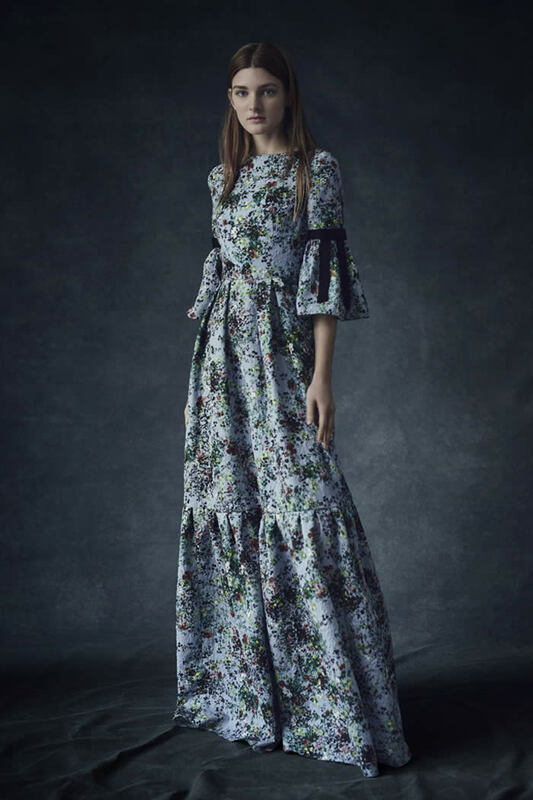 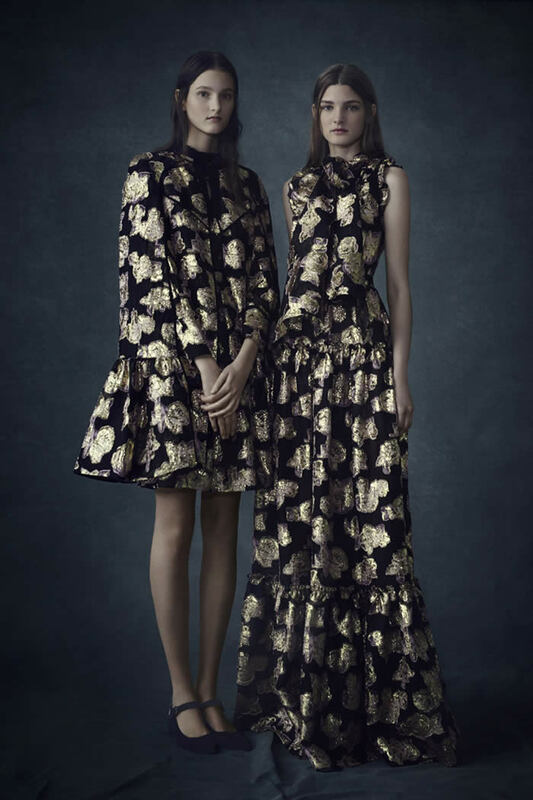 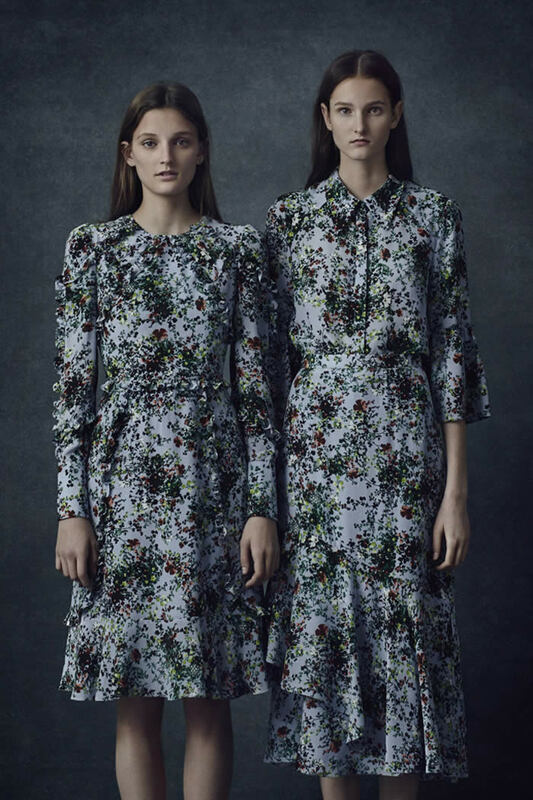 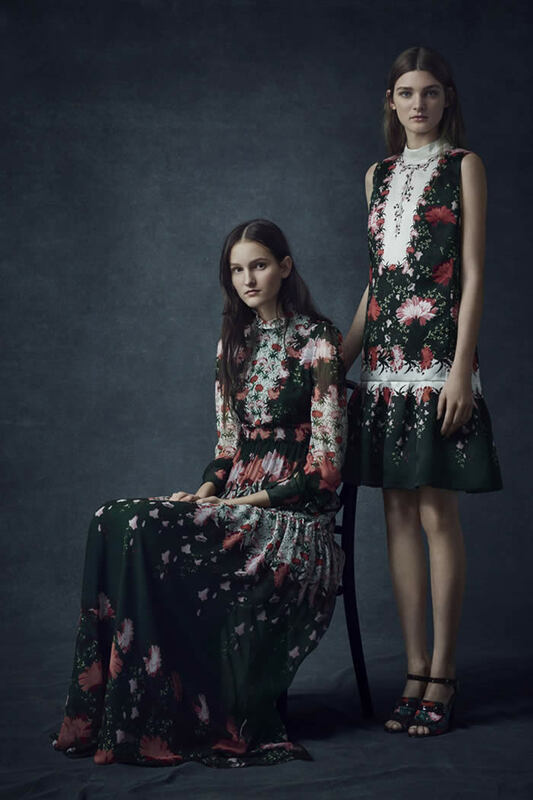 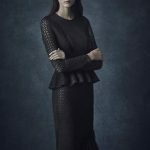 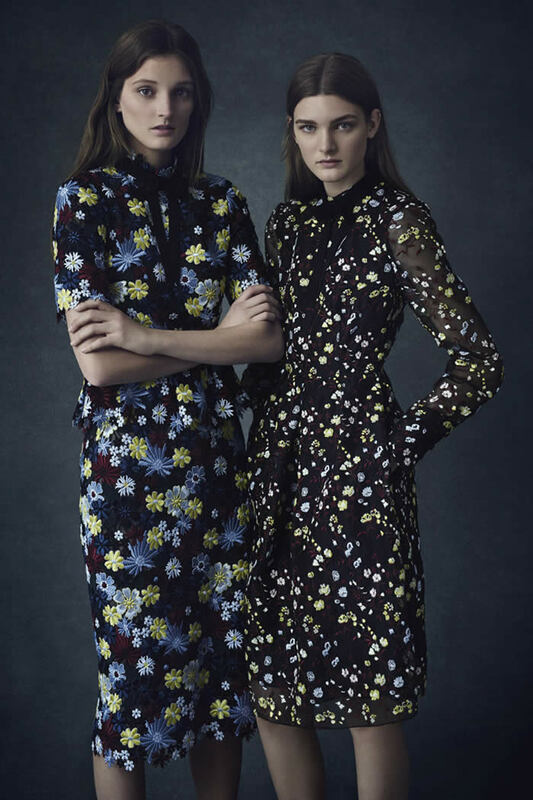 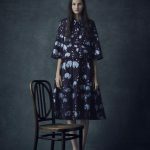 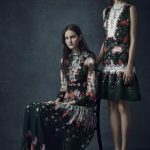 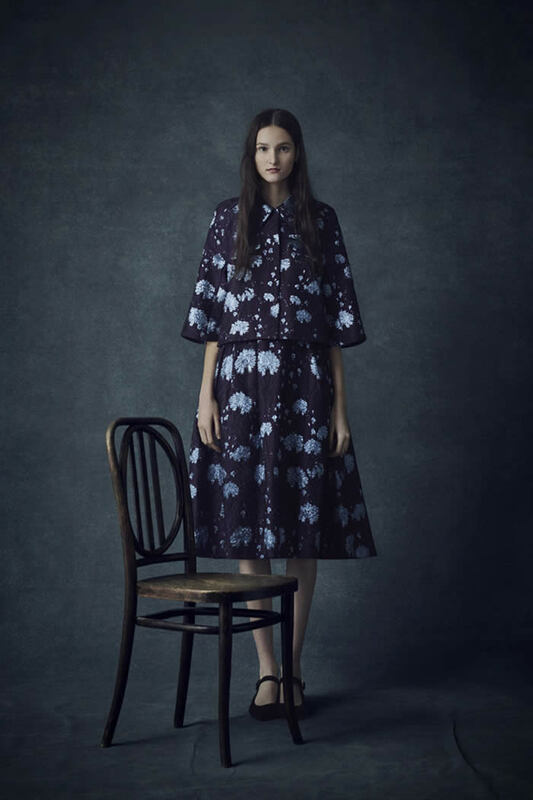 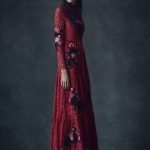 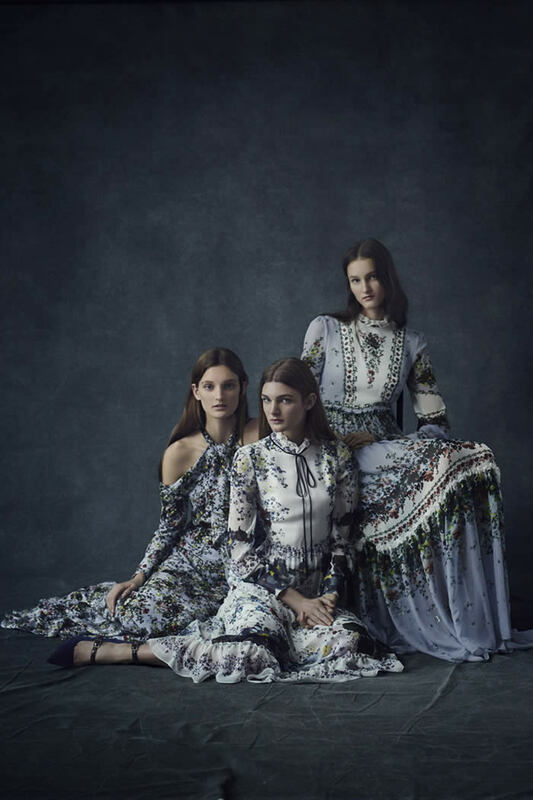 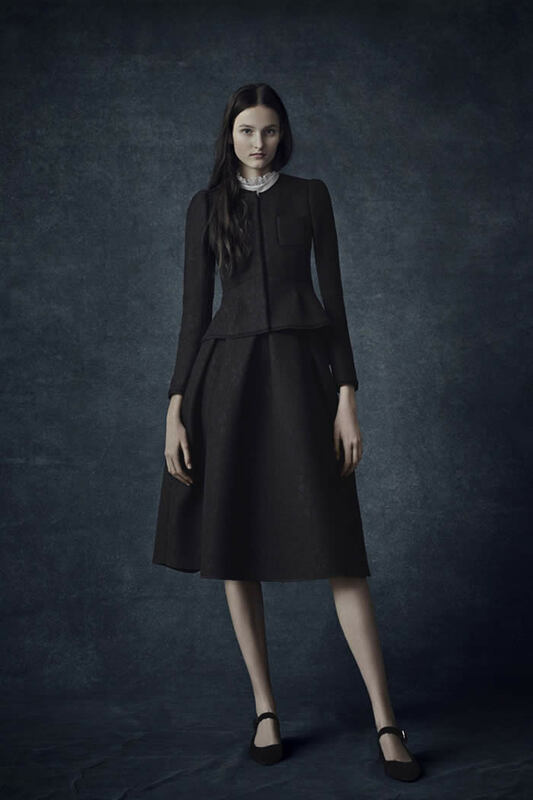 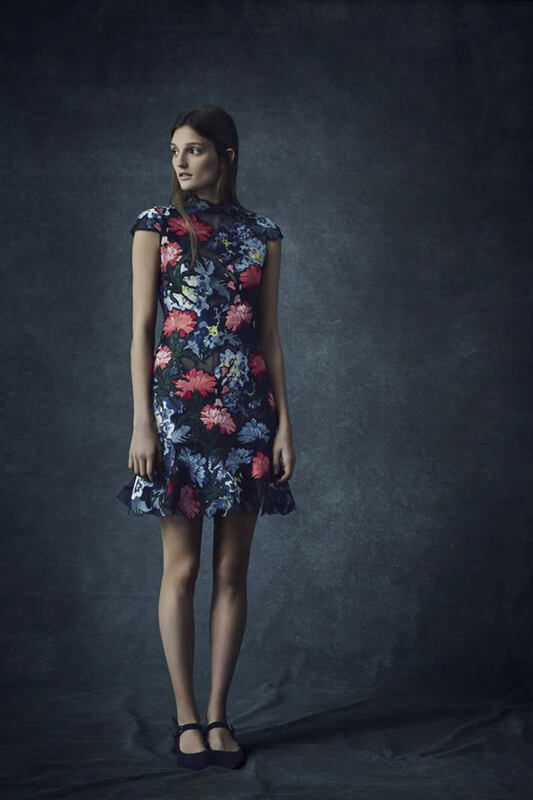 Erdem Moralioglu’s pre-fall lineup was luxurious, romantic and dark, with hints of old-school charm worked in a modern way. 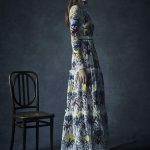 Intrigued by the idea of a portrait artist and his or her subject, Moralioglu played with “the idea of formality and informality,” with inspiration coming from portraits by Lord Snowdon and John Singer Sargent. 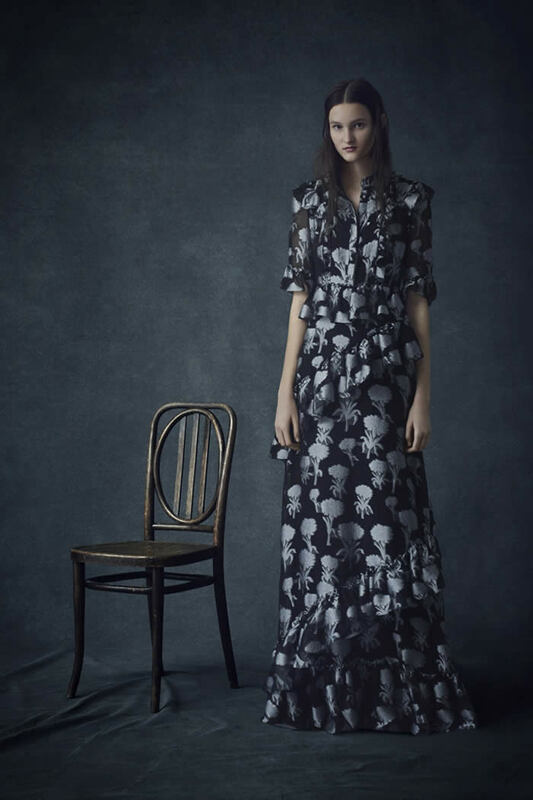 The result was a collection of dresses with high ruffled necklines, lace collars and modest lengths. 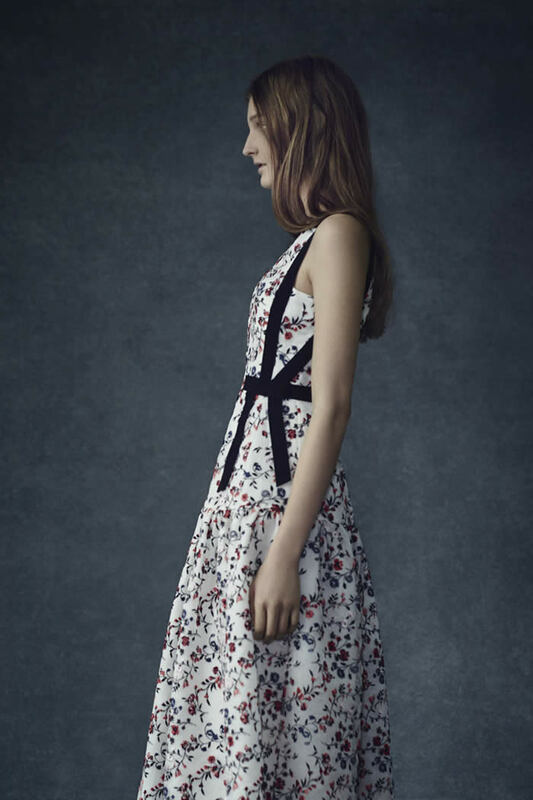 Bows rested at the neckline or were tied neatly on sleeves. 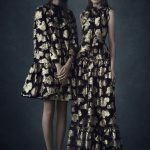 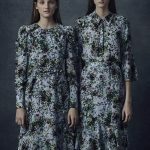 Known for his dreamy florals, Moralioglu romanced the “ordinary” carnation on tiered ruffle chiffon dresses and floor-sweeping gowns. 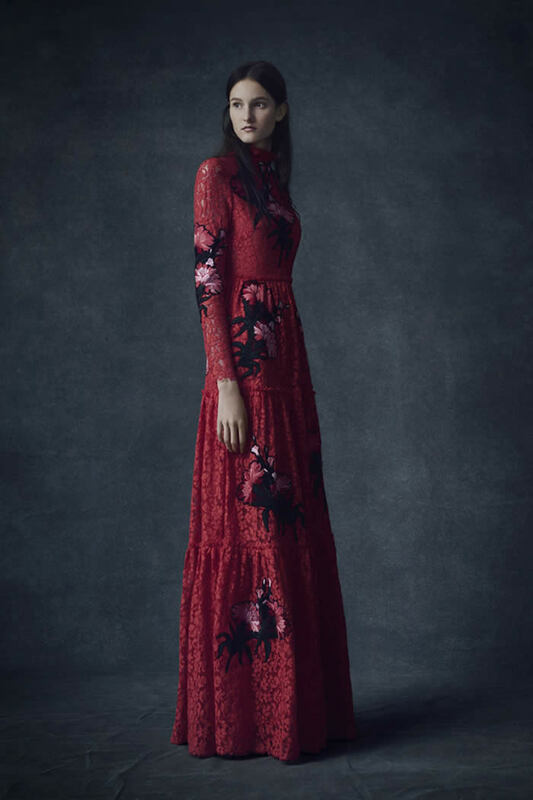 He also explored new techniques, such as hand-embroidery thread work dresses and a suede trenchcoat. 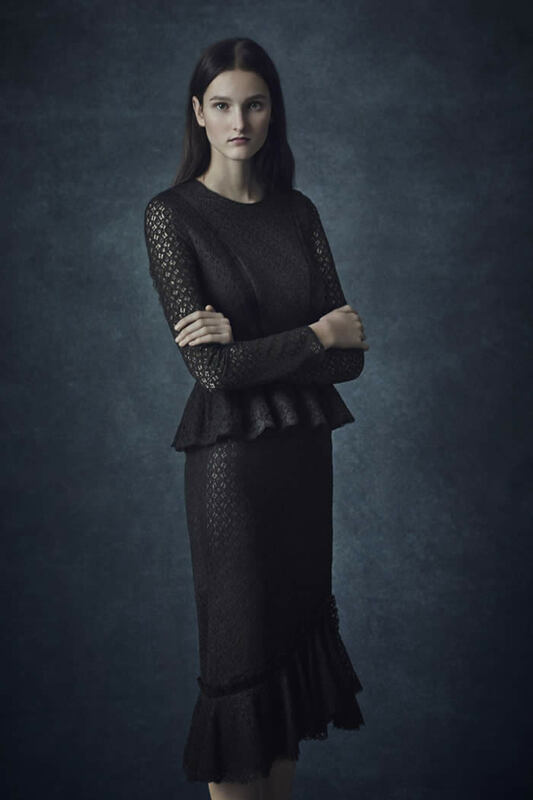 White dip-dyed ostrich feathers were laid out one by one in tiers on a cocktail dress.